In the past, teeth whitening has gotten a bad rap. Those days, however, are over! Come and see for yourself what Zoom! Teeth whitening in Minneapolis can do for you! Anybody who wishes to have whiter brighter teeth can avail themselves of this procedure. This widely used effective treatment is performed by your dental professional right in the office, allowing this type of bleaching to be carefully monitored and controlled as opposed to other forms of whitening. Over the counter bleaching products can take up to thirty days for results. Who wants to wait that long? The Zoom! Teeth whitening process is quite simple. The complete procedure takes less than an hour. It begins with a quick preparation to cover the lips and gums, leaving the teeth exposed. Bleach gel is applied to the teeth and activated by the Zoom! Laser Chair-side Lamp which breaks down stains and discoloration. This concentration of gel is applied three times with the interval of fifteen minutes. Immediately after, a topical fluoride treatment is applied to help reduce any sensitivity. Results are seen instantly after the treatment and can be up to six or eight shades brighter! Patients are also given an at home touch up kit to maintain their new white smile. The cost nowadays of this procedure is also not outside an average pocketbook. Zoom! 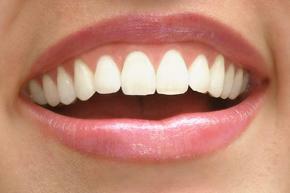 Teeth Whitening for Minneapolis residents is fast and convenient, long lasting, safe, and effective. Why not contact Dr. Horn’s office in Minneapolis and experience the newest, fastest, teeth whitening technology available.